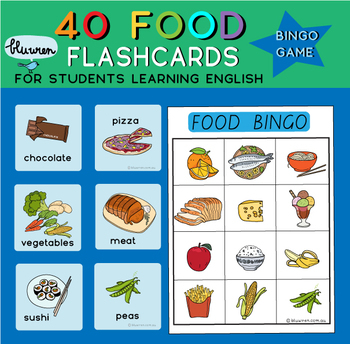 This is a set of food cards for students who are learning English. 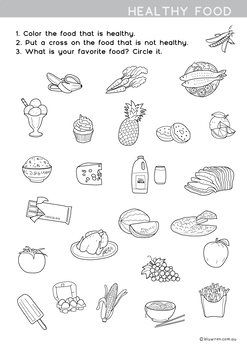 To use, simply print, laminate and cut out to produce forty cards. 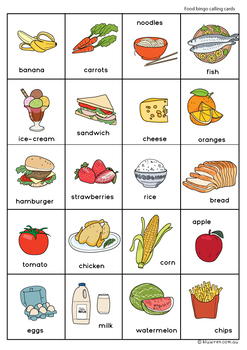 Also, included is a bingo game. 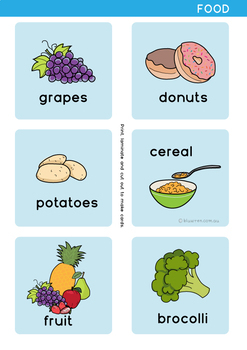 The information contained on the cards teaches everyday food words.